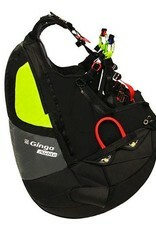 The Gingo Airlite is a high quality versatile airbag harness with seat plate and underseat rescue container. 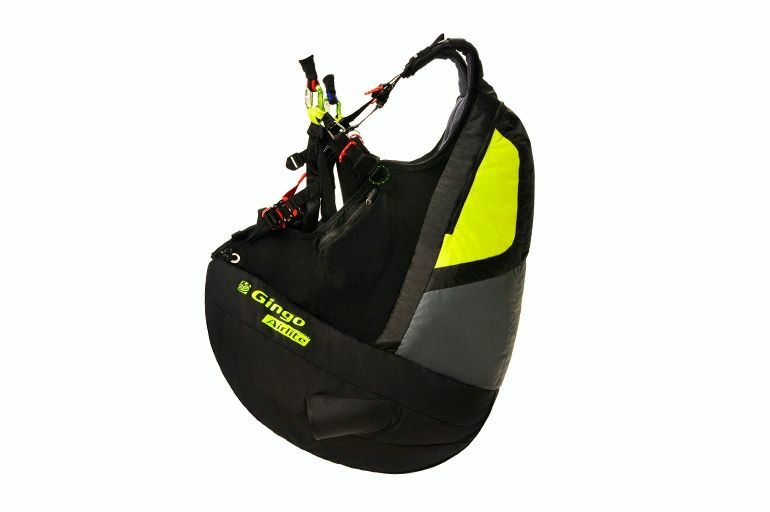 Suitable for beginners, leisure and XC pilots, the Gingo Airlite offers an ideal blend of security, comfort and convenience. 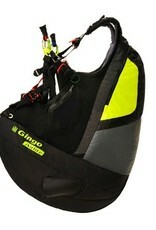 One of the lightest harnesses of its type, the compact and lightweight package weighs around 3.5kg. 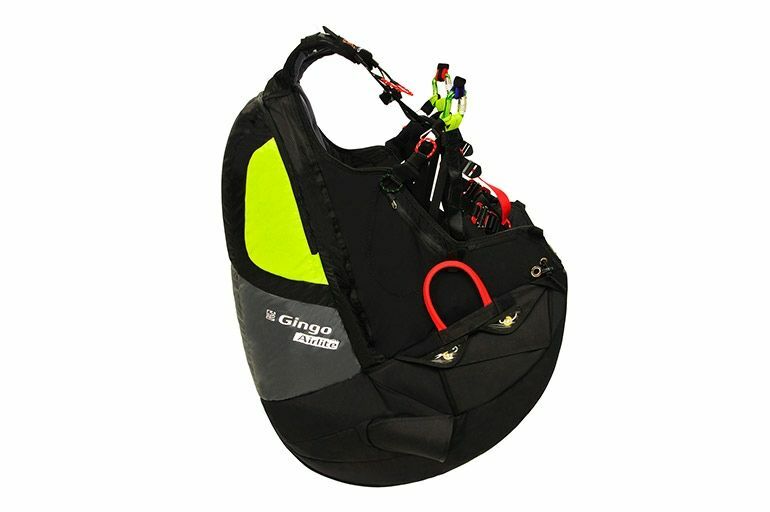 Security The new Gingo Airlite features an improved airbag offering excellent shock protection (tested under 20G) due to an advanced valve system. The airbag also has a pre-inflation system for safer launches. A foam "mini-mousse" ensures that the airbag is at least partially inflated at all times, even during reverse take-offs. Comfortable and aerodynamic Improved back support, ergonomic seat with airmesh fabric and well-balanced harness geometry all help to keep the pilot comfortable, even on long flights. The exceptionally clean and wrinkle-free profile is a result of the GIN R&D team's advanced shaping and manufacturing technologies. Convenient in the air and on the ground The Gingo Airlite is simple to use in the air, and light and compact to transport on the ground. The new GIN Triplex seat plate has an advanced composite structure which is around 50% lighter than a wooden seat plate but with extended durability. The honeycomb ripstop outer fabric is also light and packable, whilst offering excellent resistance against abrasion and degradation. The highest quality materials are used throughout the harness, guaranteeing a prolonged lifetime of service.